Thank you for registering for "Hull's Got Talent 2016!" Your information has been submitted. You can use one of the links below to pay the registration fee using PayPal. If you prefer to pay by check, please print the confirmation email and send it with a check made out to "HPA" to: Hull Performing Arts, Inc., P.O. Box 236, Hull, MA 02045. Hull's Got Talent 2016 registration fee for one person. Hull's Got Talent 2016 registration fee for two people. Hull's Got Talent 2016 registration fee for three people. Hull's Got Talent 2016 registration fee for four people. 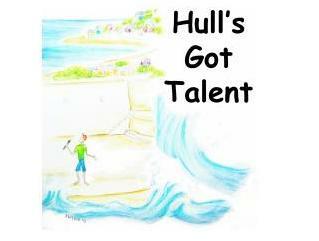 Hull's Got Talent 2016 registration fee for five or more people.